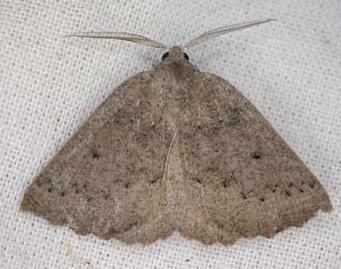 The adult moths of this species vary from grey to reddish-brown. They have a vague incomplete serrated submarginal line on each wing, and two dark dots on each forewing. 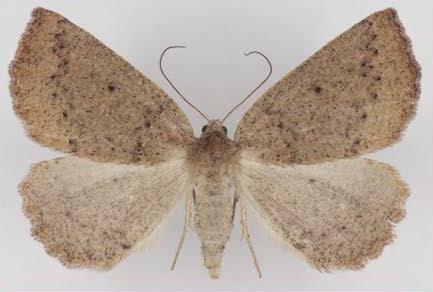 The hindwings are paler than the forewings. The wingspan is about 3 cms. Entomological Society of Victoria, 2014, pp. 8-9. Volume 58 (1947), p. 107, No. 90.